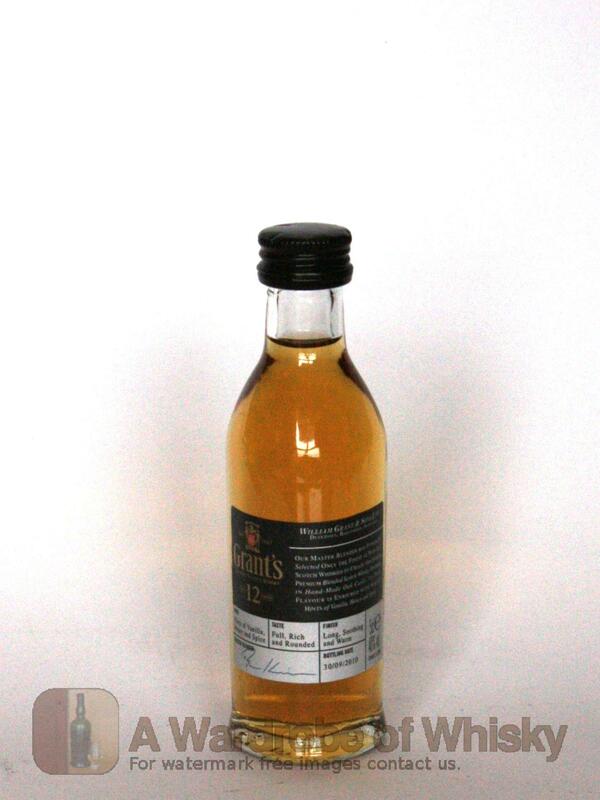 Grant’s 12 Year Old introduces you to another dimension in Scotch whisky. A masterful blend of only the finest single malt and grain whiskies, each matured in oak casks for a minimum of 12 years. Taste (86): light, smooth. honey, wood, peat, pepper, vanilla, a little peaches. These bottles have been chosen over others because their nose, taste and finish are more similar to Grant's 12 year than the rest. Go to Whisky-o-matic page to fine tuning other settings.